A visiting professor at the Università degli Studi di Scienze Gastronomiche and a Lecturer at Yale College, Ian travels frequently to show his films, lead workshops, and give talks about the human relationship to the natural world. Ian's films and collaborations include King Corn (EFFY 2013 Grand Jury Prize Winner), The Greening of Southie, Truck Farm, The City Dark, The Search for General Tso, Bluespace and The Smog of the Sea. A former Knight fellow at MIT, he is currently a lecturer at Yale College. Hridayesh Joshi has been working as a broadcast journalist for last almost two decades. At present he is working with New Delhi Television (NDTV) – one of India’s largest and most viewed news networks - as a senior editor. During his career Hridayesh has covered issues related to environment, agriculture, minerals and natural resources. This quest has led Hridayesh to the forests of central India which is home of indigenous tribals andwhere most of India’s mineral wealth exists. Hridayesh is interested in investigating the effects of climate change and environmental onslaughts on Himalayan ecology which no one can deny is critical not only for the people who live there but for whole of India as well. Sandra received her undergraduate degree from Yale University. Her senior thesis, a feature documentary , Sharp Edges, won the Louis Sudler Prize in the Performing and Creative Arts, marking the first time Yale had recognized a film project. Sandra received her MFA from New York University, Tisch School of the Arts, Graduate Film and Television. 2017 marks her 20th year teaching at Yale University’s School of Art. She proudly help develop the filmmaking concentration within the Art Major. She also teaches filmmaking at Columbia University, Barnard College. She ran and developed and run a unique six-week production program at Yale Summer Film Institute from 2002-2015. Sandra is a member of the Director’s Guild of America, The International Documentary Association and New York Women in Film and Television. Elihu Rubin is Associate Professor of Architecture, Urbanism, and American Studies at Yale. His work bridges the urban disciplines, focusing on the built environments of nineteenth and twentieth-century cities, the history and theory of city planning, urban geography and cultural landscape, transportation and mobility, architectural preservation and heritage planning, and the social life of urban space. He is co-founder of documentary film company American Beat that produced a trilogy of three films about social history and cultural landscapes in New Haven. He is the author of Insuring the City: The Prudential Center and the Postwar Urban Landscape (Yale University Press, 2012), which received the Lewis Mumford Prize for Best Book from the Society for American City and Regional Planning History and the Kenneth Jackson Award for Best Book on a North American topic from the Urban History Association. His work has also been published in Buildings & Landscapes and Radical History Review. 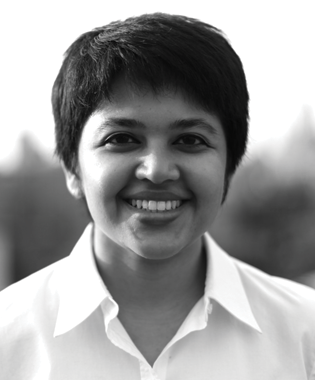 Ila Tyagi is a Ph.D. candidate in American Studies and Film and Media Studies at Yale University. Her research focuses on the American oil industry in moving images. Ila received an M.A. in American Studies from Columbia University in 2013, and completed an A.B. in English Literature at Brown University in 2009. She worked in renewable energy public relations between college and graduate school, and grew up in India and Kuwait. Ila has served as an EFFY juror since 2014.